My Christmas is for presents And fun and Santa Claus, I’d never want it spoiled By naughty dinosaurs. 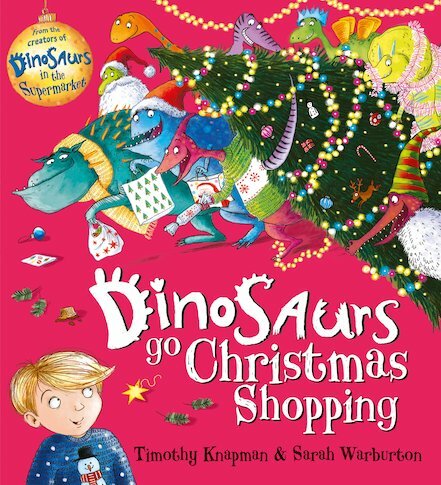 When a group of unruly dinosaurs threaten to ruin Christmas, one little boy decides to take charge. Will the dinosaurs listen? You bet they will! And after a lot of sorting, cleaning and tidying, it’s very clear that this will definitely be the best Christmas ever. Hooray for the dinosaurs! AD760L Lexiles are the global standard in reading assessment. They are unique as they are able to measure a child and a book on the same scale – ensuring the right book gets to the right child at the right time.